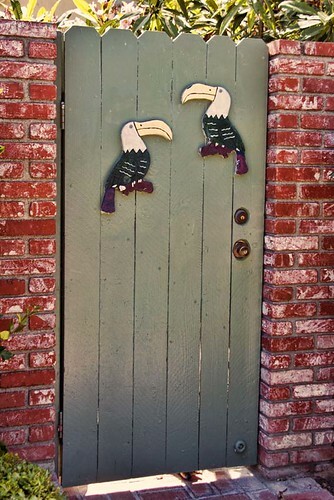 I often walk past this one and have wondered, "Why the toucans?" I still don't know, but recently came across this poem that I thought was fun. BTW - if you look closely at the bottom of the gate, you can just see a nose and a set of paws guarding the entrance. Fun picture - It's always interesting to see how people decorate their homes and their lives. There is almost certainly a story behind this! This is FANTASTIC! I've just now discovered that I'm a toucan fan...man oh man...milk in a bottle or milk in a can? is milk in a can a 'moo' can?